What is Desert to Power? Well, we all have established by now that Solar has a bright future in Africa, no pun intended and with the potential offered by the Sahara Desert, there have been numerous attempts to design mega-projects to harness the energy stored. Created in 2009 by a foundation bearing the same name, Desertec was the last major initiative that was aiming to harvest the energy from the Sahara Desert and export it to energy-thirsty Europe. More precisely, in the wake of the Fukushima nuclear disaster, Germany turned away from nuclear power and the idea was to generate about Europe’s energy needs using solar thermal plants in sunny North Africa and then transmitting that power via an ultramodern grid across the Mediterranean. There is a new kid on the block: Welcome or Desert to Power! The Desert to Power is the new flagship solar initiative launched by the African Development Bank (AfDB) that is looking to harness the Sun to power the Sahel Region. 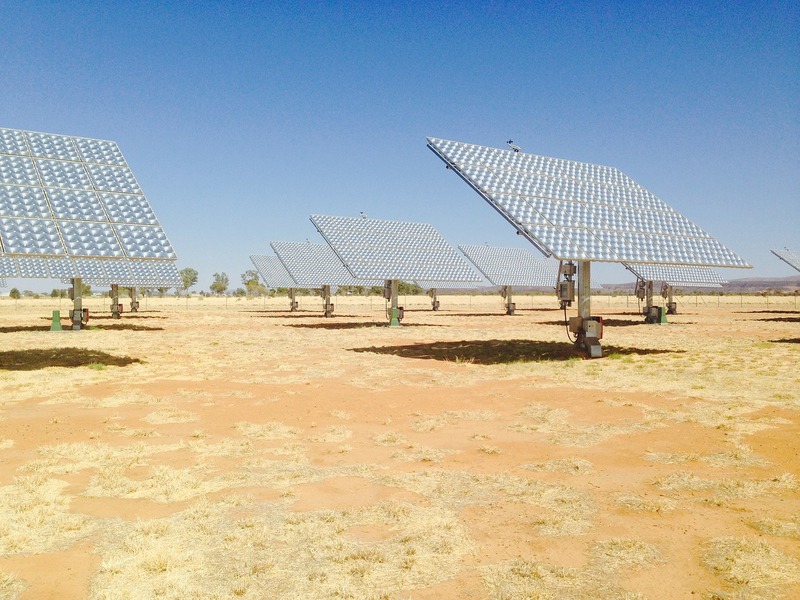 The programme is looking to build 10 GW of Solar PV across the Sahel region. the initiative aims to provide solar electricity to 250 million people, including 90 million through off-grid installations. The project will spans across 11 countries among which Burkina Faso, Djibouti, Ethiopia, Eritrea, Mali, Mauritania, Niger, Nigeria, Chad, Senegal and Sudan. The main stakeholder is of course is the AfDB who is driving the programme. Desert to Power initiative is part of The New Deal on Energy for Africa, the transformative partnership to help the continent achieve universal electricity access by 2025, providing 160 GW of new capacity, establishing 130 million new on-grid and 75 million off-grid connections. To achieve their objective, AfDB has signed a letter of intent (LoI) with the Green Climate Fund (GCF) and the Africa50 investment fund. As a reminder, The Green Climate Fund is a fund established within the framework of the UNFCCC as an operating entity of the Financial Mechanism to assist developing countries in adaptation and mitigation practices to counter climate change. Created in 2012, Africa50 is an Investment Bank for Infrastructure in Africa that focuses on high-impact national and regional projects in the energy, transport, ICT and water sectors. Another international organisation to join forces with AfDB was the International Solar Alliance. This platform, spearheaded by India, is a coalition of 121 countries, most of them solar resource rich countries (Sunshine Nations) to address their special energy needs and to collaborate. The last partner to join the Desert to Power programme was the Moroccan Agency for Sustainable Energy (Masen). Masen has a recognised expertise in the development of renewable energy projects with the operational experience of the bank in this sector. So far the bank has been successful is mobilising the international community for their support, however what would be crucial as well is how the private sector and local communities will be associated to the initiative. The programme is still in his initial stages but the bank has apparently already been engaged in business development and identifications missions in Burkina Faso and Mauritania. For these countries, like the other 9, an Ongrid and Offgrid/ green mini grids strategies will be designed. Should some of you (raise your hand proudly if you are one of those) still be in doubt, the two approaches are needed in most of the countries in Africa to achieve universal access. These baby steps are encouraging but our lucidity would want us to remind all involved that if the best is yet to come, we would need to bite and properly digest the hardest bit. At RiA, we are unequivocally proud of the action of the AfDB who over the course of 2017, has contributed to the deployment of 1.4 GW of clean energy projects or 100% of the energy infrastructure investments. We would expect though that Desert to Power would rightly learnt the lessons of the failure of Desertec. The Advent of the Arab Spring and the gigantic amount of money estimated (USD 400 Bn) for Desertec were among the main reasons responsible for its demise. If the Bank is already tackling with some success the money issue, the question of political risk would clearly need to be properly mitigated. Another point to highlight here is that at the difference of Desertec, Desert to Power is looking to harness the power of the Sun for the benefit of…Africa. In the era of America First, Africa should not be afraid as well to think about her interest first! AfDB is designing an investment programme but is clearly not the one digging up and erecting these solar farms. So all developers involved in the region should get close to the bank. Investments will be demand-driven. Although AfDB will be mobilising their own financing, for such a massive undertaking, the private sector is highly invited to take part and investors in particular will be welcomed. Make your money work. In line with RiA’s motto, Desert to Power is exactly the kind of programme that could transform the lives of African people by leveraging the power of Renewable Energy! No wonder we support the programme.